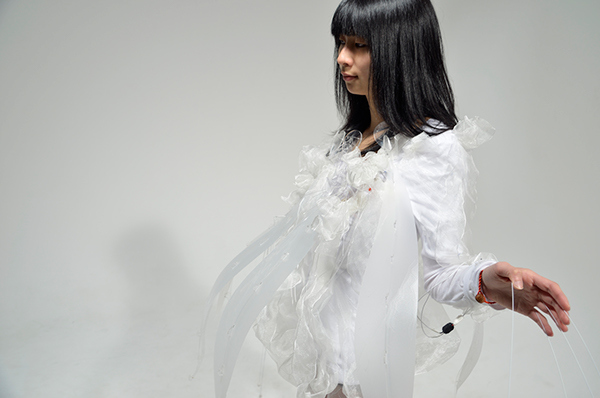 A dress that blushes when touched, made with Arduino Lilypad. "Skin is the biggest sexual organ on human body". 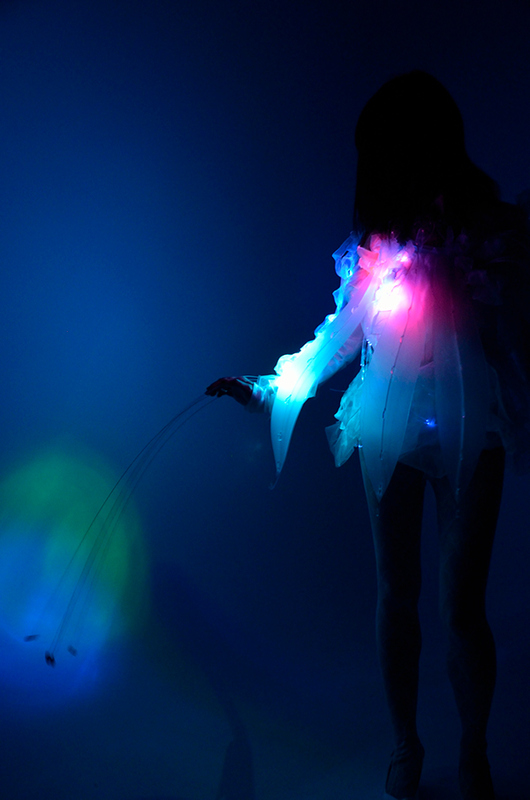 Aphotic Touch is an emotional dress that lights up when touched. The intensity and the pattern of the light is a visualisation of the sensory experience of your skin being touched. As the touch sensors embedded in the dress comes to contact with a surface, the dress flushes, flickers, pulses based on the pressure of touch and the texture of the surface. More than a realistic representation of the physical contact, the focused was on creating the expressive quality through lighting and defusing. 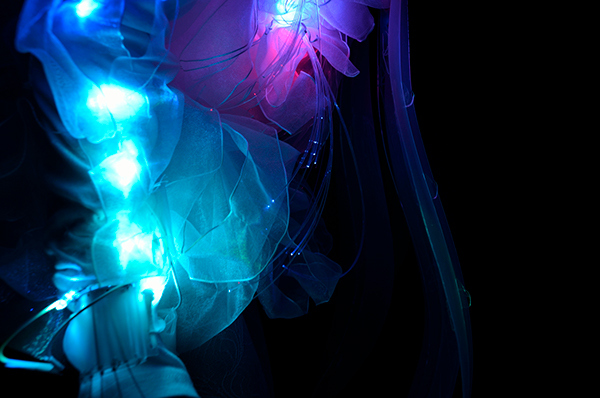 The moody and sensual aesthetic of this dress is inspired by bioluminescent creatures that glow in the deep dark sea.